Have you ever pondered the origins of your food? Was it grown in Montana? Was it flown here from across the country, or across the world? 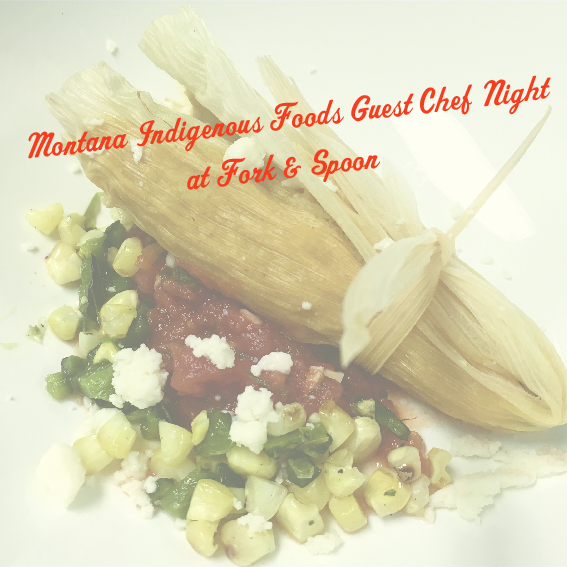 Montana State University’s Fork in the Road food truck and Dining Commons will take us back to our roots for a Guest Chef Dinner at Fork & Spoon featuring a menu local & indigenous to Montana. Dinner will be served Thursday, October 18 from 5 – 7 pm at Fork & Spoon Homestyle Kitchen and provided on our unique pay what you can model.